Are you looking for gutter cleaning in NJ? At North American Pfister, we have been offering high quality construction services to our customers for over 40 years. Our experienced gutter professionals in NJ can install or replace gutters of any size or style. In order to make the most of your investment, you need to properly maintain your gutters and the recommended way to do that is with regular gutter cleaning in NJ. When it comes to keeping your home looking great, you may worry about picking out the right shutters, keeping the windows sparkling and making sure the paint is not peeling, but gutters are an often overlooked part of your home that can make or break a first impression. When it comes time to sell your home, your property value can also be greatly affected by the state of your gutters. Our NJ gutter cleaning can help prevent the growth of dangerous mold spores, rotting wood, damage to the exterior of the home, flooding and basement deterioration. 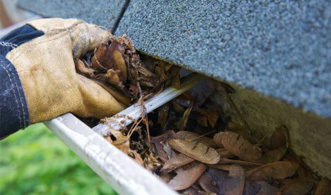 By cleaning your gutters on a regular basis, you can prevent more extensive and costly problems. If you are looking for the perfect gutter cleaning company in NJ, look no further than North American Pfister. We offer a wide variety of different gutter brands including: Leaf-Guard, RainPro and MicroGuard, so we can replace your old gutters, clean your existing set and install a brand new set as well. For a gutter cleaning quote in NJ and more information, contact North American Pfister today (201) 794-1422. North American Pfister - Your trusted source for Gutter Cleaning in NJ.